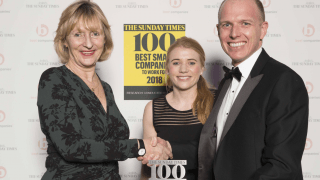 The results are in: ForrestBrown has been recognized in the Sunday Times 100 Best Small Companies to Work For (2018). 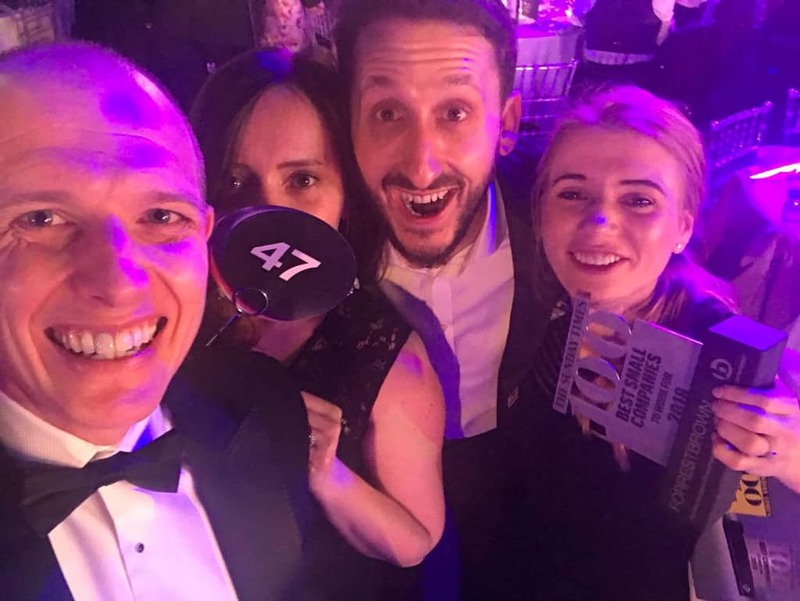 We are overjoyed to have placed 47th in the UK ranking which celebrates the best in employee engagement. And regionally we have done even better. In fact, it’s official: we are the best in the South West. ForrestBrown is judged to be the number one employer in the whole of our region – that’s in any sector and of companies of any size. The Sunday Times survey is open to organizations in the UK employing between 50 and 250 staff. Small companies were ranked based on eight engagement measures, with data collected from in-depth staff questionnaires. All our staff share a common purpose: helping innovative businesses grow through the R&D tax credit incentives. At a glance, our style might not be what you’d expect of an R&D tax credit consultancy – but we strive for excellence in every aspect of the work we do. Our no-suit culture is informal, but we take our work very seriously. And our clients love working with us because we are dedicated, professional, and down-to-earth all at once. We’re proud of our exceptional client-service and the outstanding technical firepower we have in-house. But these things that set us apart are made possible by the talented individuals that work at ForrestBrown. The team have year-round access to expanding their knowledge and honing their soft skills through our in-house Learning Lab. The personal and professional development opportunities we have created have no doubt helped us achieve this ranking. Exceeding the qualifying threshold (50 employees) for entries in 2017, this was the first year we could apply to enter the Sunday Times ‘s list. ForrestBrown scored a three-star accreditation which is awarded for ‘extraordinary levels’ of employee engagement. Small companies were ranked based on eight engagement measures, with data collected from in-depth staff questionnaires. Our 63 staff scored us highly because they feel they’re making a difference to innovative UK companies. They also rated ForrestBrown’s team-spirit and strong leadership. Since our beginning, we have won numerous awards and received significant recognition from a variety of local and national bodies. Most awards acknowledge our outward achievements as a business. But this introspective survey is based entirely on the opinions of our team. Formal recognition from this internal perspective is therefore a massive validation that the unique culture we nurture at ForrestBrown is thriving. Not only this, ForrestBrown’s top-100 place shows that our internal culture goes hand-in-hand with our other measurable successes and achievements as a business. We have always been proud of our consistent investment in people – and this ranking shows the investment is working. You can be sure it will continue into the future. So if you’re committed to high-standards – and bringing excellence to everything you do – we’d love to hear from you. Visit our careers site now and get in touch.